I picked this pattern for my next pair of summer socks because it was pretty much a no brainer. Knit 2, purl 2 with a little twist stitch every eight rows. But I read the directions anyway. It felt like the writer was trying to make something simple sound difficult. When I got to the heel I had to read it over a few times before I could “see” what she was talking about. I went with an Eye of Partridge heel instead. 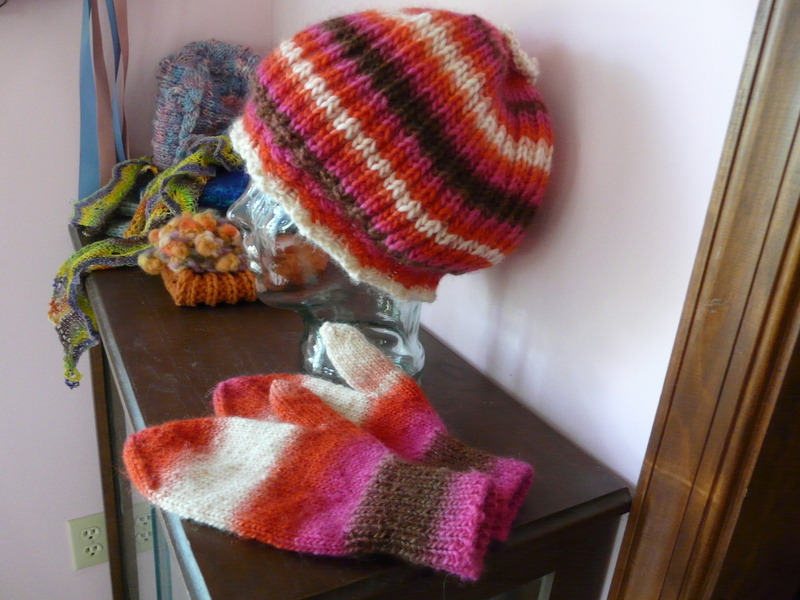 It’s a good look on variegated yarn. Next came a shaped arch sole which I have done a few times. Here again, the directions were weird. At first, I thought it was me. I am dyslexic, you know. I got out one of my Charlene Schurch books (I wish I had remembered to take them to MDSWF) and read what she had to say. I felt much better. Thanks Charlene. I didn’t bother with the shaped arch after all that. I was tired of thinking. 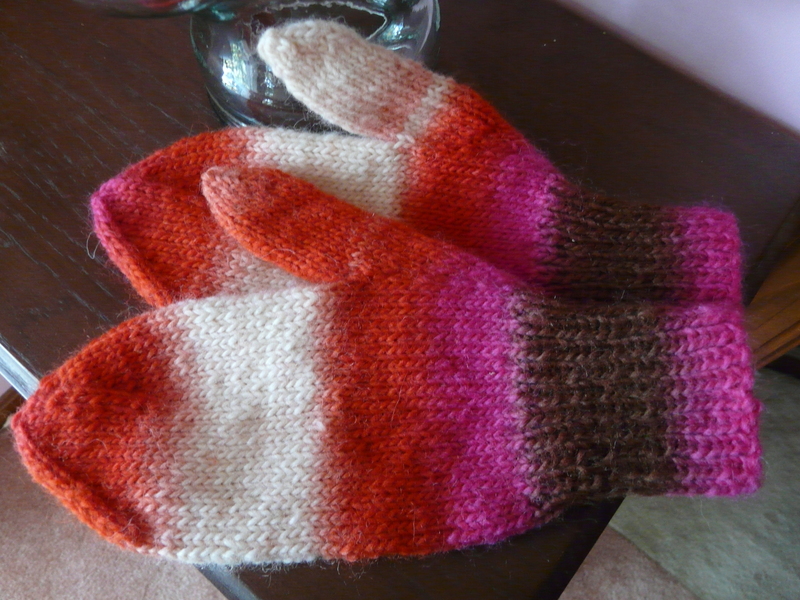 I made mittens to go with the hat. I like these so much that I may not sell them. 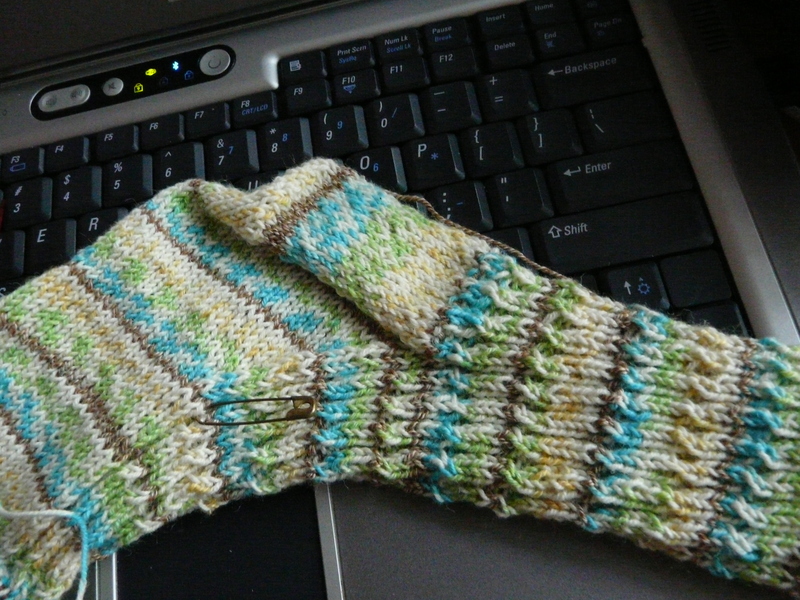 This entry was posted on August 13, 2011 at 12:28 am and is filed under Knitting. You can follow any responses to this entry through the RSS 2.0 feed. Both comments and pings are currently closed.